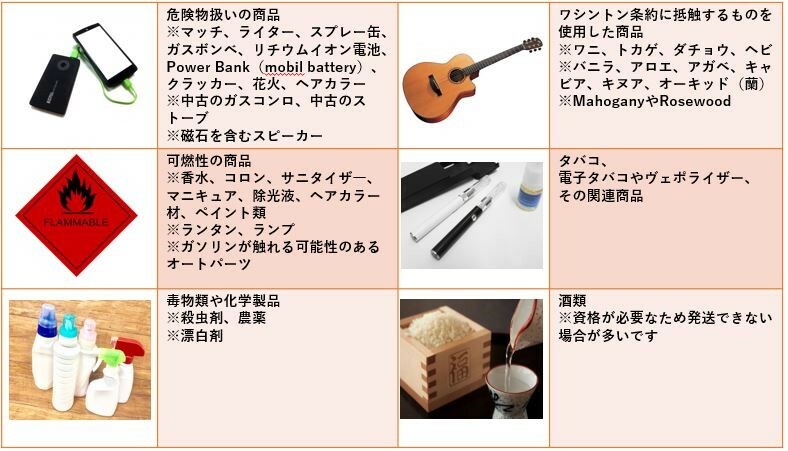 ※Malltail ships packages under the rules set by delivery companies and airline companies. 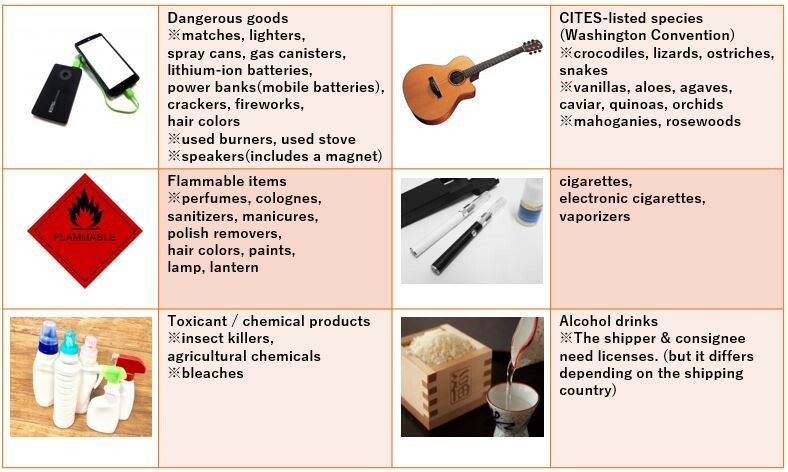 The rules could be changed, and it is possible that items which you could ship before became prohibited ones. You see there are a lot of rules when you ship the items to foreign countries. You need to check if the items are able to be shipped or not before you order them. Malltail is not responsible for any trouble about that. We can’t ship animals, plants listed in on the CITES list. We also can’t ship products made of them. We can’t ship items prohibited by IATA. Malltail use FedEx or EMS (Japan post) to ship packages to foreign countries. FedEx and EMS have each rule about shipping, so please make an inquiry at FedEx and EMS if you have any questions. ※You are not able to ship “lithium-ion battery” and “products including lithium-ion battery” in EMS. Each country also has some rules for importing. We can’t ship the items prohibited by a destination country. Please make an inquiry at the customs if you have any questions.